Lisa + Jash sitting in a Bucktown tree! What can I say?? I love LOVE. 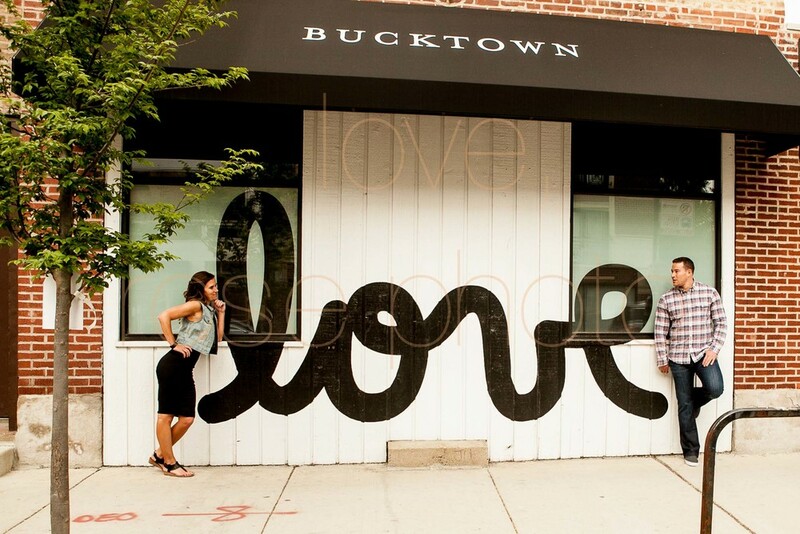 This sweet couple keeps their cozy Chicago home in the hip area of Bucktown / Wicker Park. Just down the street from their abode is a bevy of delish restaurants, quaint watering holes and the recently opened Chicago treasure for outdoor activity, The 606. As with any Rose Photo custom engagement shoot, we never have the same shoot twice because we truly love telling our clients' unique and personal stories. With that in mind, we met for a tequila toast at their favorite taco bar, Big Star, and then casually sauntered down Damen Ave to the floral and fauna framed city scapes of The 606. Finally, the money shot was captured just down the street from their condo in front of the ever popular LOVE signage brought to Chicago by the brilliant marketing geniuses behind @Properties. So from location, location, location to love, love, love I am thrilled to say I will travel with these two love birds to their Arizona wedding next spring for an amazing celebration in Scottsdale. Yep - have camera, will travel! Though I've visited the incredible scenes that make up the desert areas in and around Scottsdale with camera in hand and forced family members to be my willing subjects (see 'Love your sister' blog post a year or so back) , I'm so excited to travel with these two awesome people and continue to tell their story. Ice down that tequila because we snow birds are comin' in cold!